The bustling capital city of Kuala Lumpur (KL) accommodates a diverse range of preferences to find the best golf course in Kuala Lumpur. So it is an easy task to find the nearest best golf courses in Kuala Lumpur. Since KL helms some of the biggest sports-related initiatives in Malaysia. Kuala Lumpur had hosted a few international sporting events in Malaysia. It should, therefore, come as no surprise to learn that some of the best golf courses in Malaysia can be found right here in sunny (but admittedly sometimes rainy) Kuala Lumpur. Although some of the golf courses in Selangor have garnered worldwide popularity. But in Kuala Lumpur, you can find some of the most challenging fairways, exciting opportunities, and relatively inexpensive green fees. So why not you go grab your golfing partner and head on down to your nearest best golf courses in Kuala Lumpur. Below is a handful of some of the best out of the lot. If accessibility is at the top of your priority list, look no further than Kelab Golf Sultan Abdul Aziz Shah or Sultan Abdul Aziz Shah Golf & Country Club (KGSAAS). Conveniently located on the northern portion of the Shah Alam Township and within close proximity of landmarks such as the imposing 80,000 capacity Shah Alam Stadium. Also, it is made up of a 27-hole layout that is designed by 5-times Open Champion Peter Thomson. Here, you can experience a holistic series of challenges. Three nine-hole loops, each of which shelves away from the clubhouse and returns back to it, a seamless flow of natural undulations and a picturesque, delightful round of golf await for you here. Establishing itself as the No. 1 golf club in Malaysia is the Saujana Golf & Country Club. They were made up of rolling hills and tranquil lakes with two internationally renowned golf facilities – the Palm Course and the Bunga Raya Course – both designed by Ronald Fream. The legendary golfer. The club’s accomplishments speak for themselves. As they host seven Malaysian Opens; three Kosaido Malaysian Ladies Opens and the 2002 World Amateur Golf Team Championships. Which comprise the Eisenhower Trophy and the Espirito Santo Trophy. So by just playing here should already be enough to make you feel like a star player. Since its establishment in 1993, the Glenmarie & Country Club has come a long way and is currently renowned as one of the best golf courses in Kuala Lumpur. Once you get a glimpse of the GGCC, the reasons for its fame become crystal clear. Because GGCC’S had created a new benchmark for the state-of-the-art maintenance processes, which its owner the DRB-HICOM Group have put in place. It sure helps to ensure that the club exceeds expectations time and time again especially the drainage system. They can start resume just minutes after a heavy downpour since it is so advance. It certainly seems that no expense has been spared in helping to ensure that the most up-to-date machinery is used at all times. And their field staff is constantly working on new ideas to improve and upgrade the courses. Clearly, Glenmarie Country Club is one of the best golf courses in Kuala Lumpur. The next best golf courses in Kuala Lumpur is right at the heart of Kuala Lumpur. They are called TPC Kuala Lumpur which is a premier golf and country club nestled at the lush greenery and vast hilltop setting of Bukit Kiara. With elegant architecture and the tranquil atmosphere infused with heavily Californian-Spanish influence for its interior. But the main attraction is TPC KL club provides a serene green getaway where golfers can escape the monotony of everyday life. More of a traveler’s golfing destination than the other mentions on this list, the Palm Garden Golf Club is strategically located just 25 minutes away from the KLIA airport. As a direct result, many golfers that drop by, are either on their way to their departure or just arriving. So if you are thinking about playing golf for a few rounds but still doesn’t want to miss your flight. PGGC is the best golf courses in Kuala Lumpur for you. Also, this golf course designer is Ted Parslow who had a world class experienced in designing terrain’s that have naturally pristine landscapes. The main function of creating this design is because PGCC wants to create deceivingly simple-looking courses. That is filled with high-lipped bunkers and unexpected challenges. Definitely one of the best golf courses in Kuala Lumpur. Kota Permai Golf & Country Club opened in 1998 in Kota Kemuning. Before this, Kota Kemuning was not particularly known for great golfing places. But, when Kota Permai Golf & Country Club opened with its 18-hole Kota Permai championship course designed by top international architect Ross Watso. It has drawn golfers by the droves, garnering a reputation among Malaysia’s golfing community. 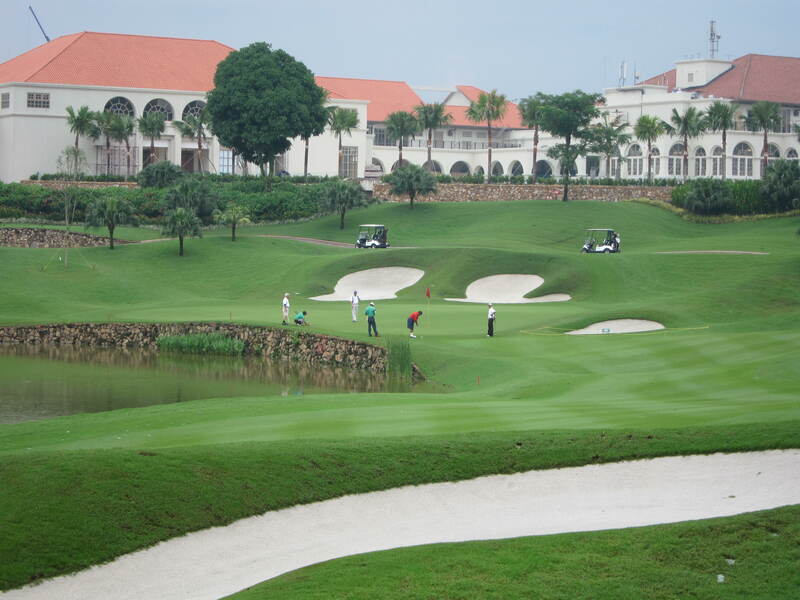 It is considered to be one of the best golf courses in Kuala Lumpur and also in Asia. Mainly because KPGCC has an extensive portfolio of professional golf championships and events. For examples, the qualifying sessions for the World Cup of Golf in 2007 and one European Tour Malaysian Open had been done here. Not to forget, a lot of business people golf here to connect with each other. So if you are one, you better start golfing here. P.S. 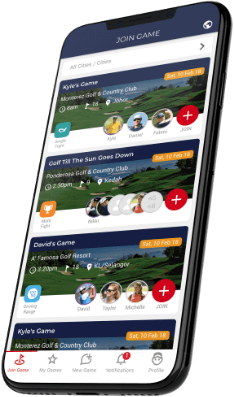 Deemples golf apps are here to help make sure you never play golf alone or skip golf because you can’t find anyone to play with. Simply create a game and let others join you. Click here to find out more!